I am a potter and watercolor artist by trade, but I love to dabble in many other forms of art as well! I also am an avid crafter! I take care of my toddler in between projects! 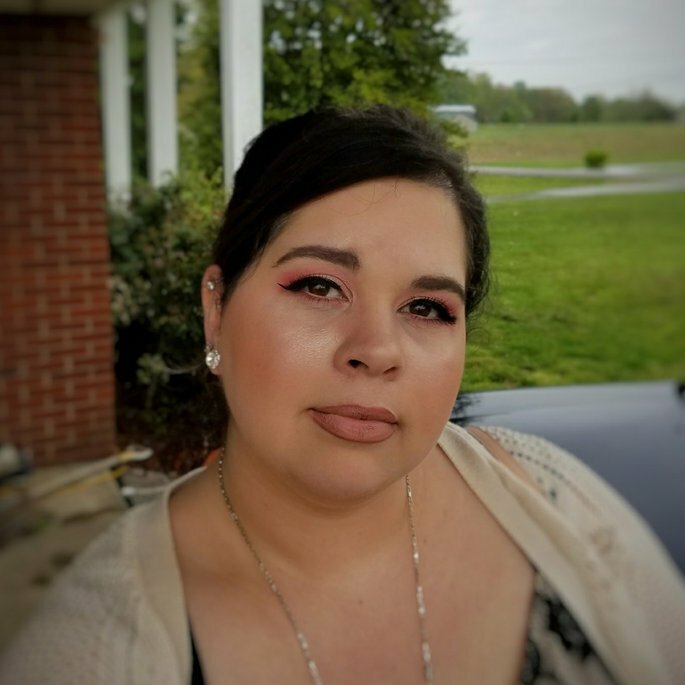 I am a makeup junkie and love trying new products!! If you don't have time to make this from scratch, this is an easy solution! This is so good and easy! And you can have a hot home-cooked meal!! If you like ranch but can't seem to find one as good as you can get in most restaurants, try making your own! Most of the time it is what they do in those restaurants because it lasts much longer!! And you can adjust the recipe you use to suit your tastes!! I love this on salads!! It is perfectly salty and creamy!! My favorite way to eat it is on spring greens with cherry tomatoes and croutons and a little fresh grated parm!! If you like Caesar dressing, please, please give this a try!! Love! Love! Love! For something more savory and healthy this is my go-to!! It is perfect for days where I don't know if I will be able to get enough veggies.. And plus side... My kiddo loves it too!! So healthy and fresh!! This is one of my favorite juices if I want something fruity and healthy with veggies and greens in it! If I am having a day where I know I won't get all the veggies I need I will reach for this! I love this as a lighter version than the red version... The red is my all time favorite but this is great for replacing champagne!! I love this drink!! Most people drink a small glass of it in lue of wine or champagne but I can sit down and drink an entire 16 oz cup full... It is so good and I love the bubbles!! I have only been using this for a few days so I cannot attest to the results of it yet... I have fine lines and puffiness and it does seem to have helped the puffiness but I think it will take more time to see if it helps the fine lines... It also doesn't break out my sensitive skin and I love the formula.. Once I have given it a full test I will update my review.. This product is great for dry/eczema skin!! I had severe dryness and after 2 days of using this it is so much more hydrated and supple! I also have very sensitive skin and it hasn't irritated it! !